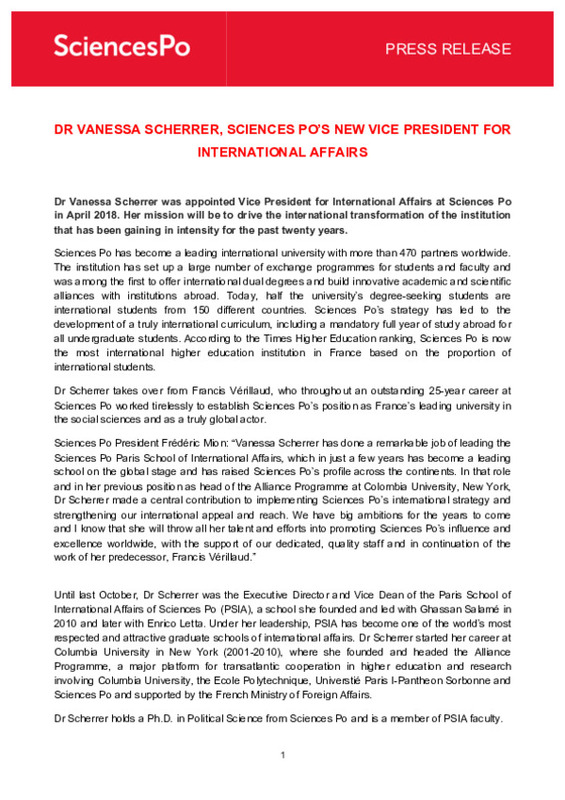 Dr Vanessa Scherrer was appointed Vice President for International Affairs at Sciences Po in April 2018. Her mission will be to drive the international transformation of the institution that has been gaining in intensity for the past twenty years. Sciences Po has become a leading international university with more than 470 partners worldwide. The institution has set up a large number of exchange programmes for students and faculty and was among the first to offer international dual degrees and build innovative academic and scientific alliances with institutions abroad. Today, half the university’s degree-seeking students are international students from 150 different countries. Sciences Po’s strategy has led to the development of a truly international curriculum, including a mandatory full year of study abroad for all undergraduate students. 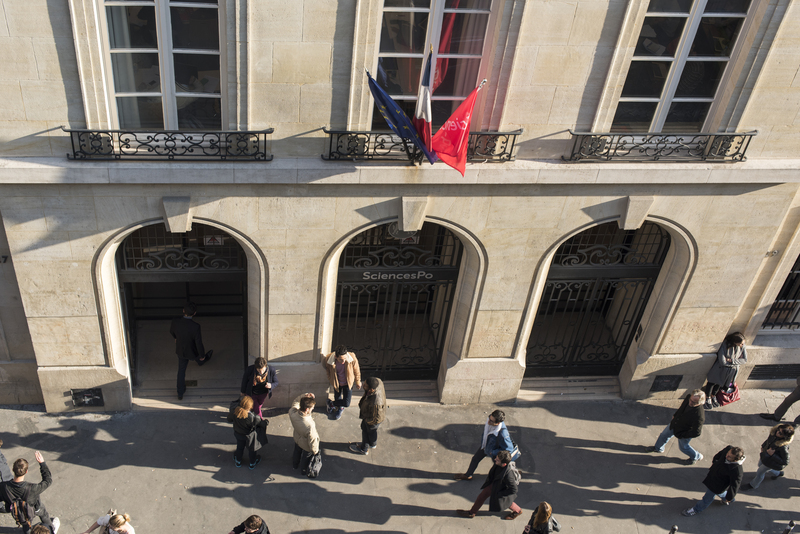 According to the Times Higher Education ranking, Sciences Po is now the most international higher education institution in France based on the proportion of international students. Dr Scherrer takes over from Francis Vérillaud, who throughout an outstanding 25-year career at Sciences Po worked tirelessly to establish Sciences Po’s position as France’s leading university in the social sciences and as a truly global actor. Until last October, Dr Scherrer was the Executive Director and Vice Dean of the Paris School of International Affairs of Sciences Po (PSIA), a school she founded and led with Ghassan Salamé in 2010 and later with Enrico Letta. Under her leadership, PSIA has become one of the world’s most respected and attractive graduate schools of international affairs. Dr Scherrer started her career at Columbia University in New York (2001-2010), where she founded and headed the Alliance Programme, a major platform for transatlantic cooperation in higher education and research involving Columbia University, the Ecole Polytechnique, Universtié Paris I-Pantheon Sorbonne and Sciences Po and supported by the French Ministry of Foreign Affairs. Dr Scherrer holds a Ph.D. in Political Science from Sciences Po and is a member of PSIA faculty. Sciences Po is a selective research university of international standing based on the values of openness and excellence. Sciences Po’s unique academic model combines expertise in the humanities and social sciences, multidisciplinarity and a professional grounding to educate professionals and citizens able to understand and transform society. Diversity is a key element of Sciences Po’s identity. The student body comprises 47% international students from 150 different countries and 27% scholarship students, up from 6% in 2000.